Toasted slivered almonds flavor these shaped butter cookies and give them great crunch. Cream butter; gradually add sugars, beating well at medium speed of an electric hand-held mixer. Combine flour and baking powder; add to creamed mixture alternately with vinegar mixture, beginning and ending with the flour mixture. Stir in slivered almonds and almond extract. 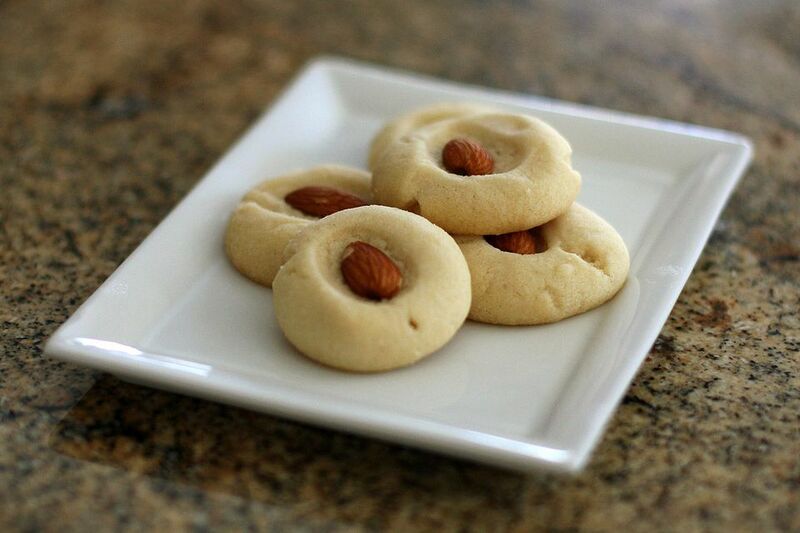 Gently press a whole almond or almond half into center of each cookie. Bake at 400° for 8 to 10 minutes or until lightly browned. Cool almond cookies on wire racks.